Many individuals with Cerebral Palsy are filled with potential that goes unrecognized because others don't know how to look beyond physical disabilities. 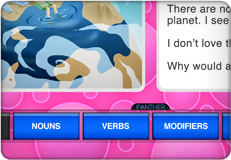 Panther's many Apps provide amazing new ways to achieve potential and showcase ability. That means others will not only see those abilities, but be motivated to help develop them. From the computer access provided by Panther Control Pad to the ability to do math that's provided by Math Paper, to the fun games in Pounce, Panther adds more joy, effervescence, sharing, and inclusion to daily life. 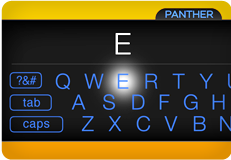 The interfaces on Panther Apps are designed to be accessible. Control buttons are located on the bottom, to avoid more complex movements. And one can add “hold times,” to avoid accidental hits. Our apps are based on the premise that when it takes too much time to learn something, adoption is at risk. So every interface we’ve created is intuitive. That means our apps promote independence. Our apps will delight you. 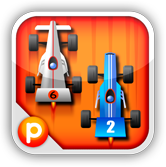 For example, instead of just tapping on dice, we’ve added another motor exercise. Hit a target to start the roll. 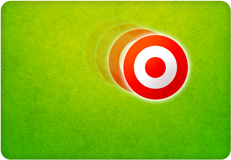 And the target can even move, for when access can handle it. 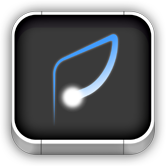 All Panther Apps have interchangable skins. So they can reflect the personality and temperament of the user.Panther apps don’t only create foundations, they create great moods. Panther Connect turns an iPad into a powerful trackpad for your computer. Its five innovative modes let individuals access a computer in ways not possible before. 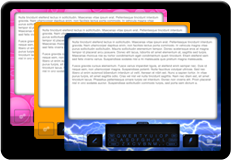 All modes include powerful commands for navigating websites, improved text editing, and launching and switching between programs and documents. If you have disabilities, Panther Connect truly unleashes your computer! "What makes Panther special is that Richard Ellenson comes at this from the perspective of a parent of a child with a disability. This isn¹t a just a tech company, but one created by a parent who has a deep technological background, and also knows first-hand how new ways of thinking and the advent of apps can open up the world for a child. The inaugural Panther products are designed to create a life without limits for children with disabilities, and UCP applauds Richard¹s vision." 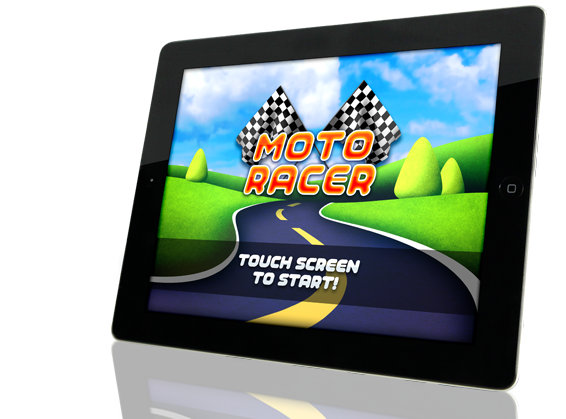 Moto Racer is a fun new way for individuals with disabilities to improve motor access. And for people of different abilities to play games together! It’s a simple game with gorgeous graphics, so with disabilities don’t get locked out of the experiences that often happen with mass market games. Nor will they get locked out of friendships – because Moto Racer can be played at two levels, with scores that compensate for different abilities, so each person is scored by their own standards. "Panther was created to provide technology to unleash potential. But the most important potential of all is the one to immerse oneself in simple everyday joys - to share friendships, challenges, and just plain hanging around. Pounce is the Yang to Panther's Yin." 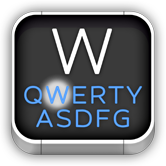 The keyboard was designed for people who type with 10 fingers. On a typewriter. Back in the 1800s. We thought it was time for an overhaul. 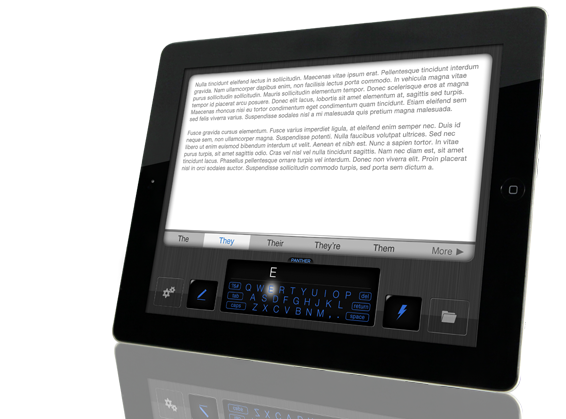 Panther Writer is designed for the typing we do today, on a screen, usually with fewer fingers. And it was especially designed to address the needs of people with complex motor issues. Discover a half dozen was to start to reach the potential you have as a writer. "This is truly a paradigm shift for access. Kids everywhere are going to have more opportunities than ever for literacy and math engagement - and success. And with the clean and elegant design features of the apps, everyone is going to want to embrace these." All Panther Apps are designed to be a part of a comprehensive approach to accomplishment, success and unleashed potential. 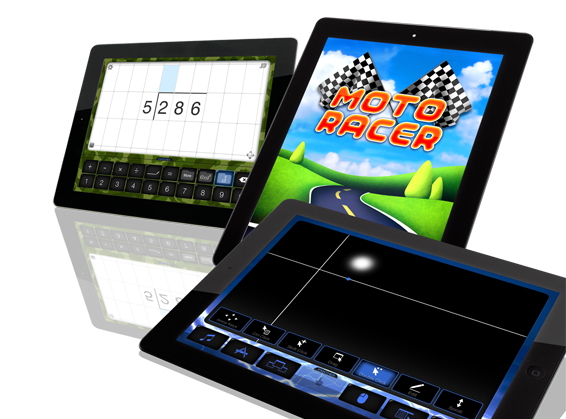 Each App is created to maximize a specific ability. 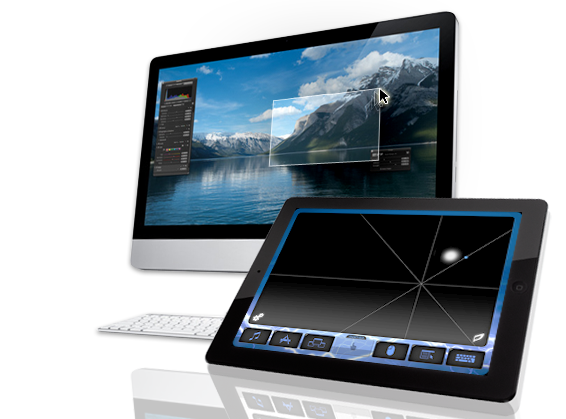 But our relentless pursuit of intuitive and consistent interface allows you to also make the most of using them together. Explore the many customizations you can use throughout the apps to make them work the best for you.